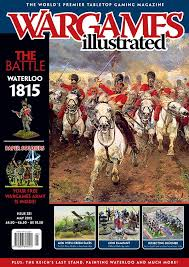 As you all know Salute was held last weekend and Wargames Illustrated were selling their latest issue along with a free giveaway of a 28mm Simon de Montfort. This was packed away for reading on the journey home. Imagine to my surprise when I came across the article detailing Paul Mason's build of Upsheet Creek. There was my name Eric the Shed in print. Apparently it was my nom de guerre that inspired Paul to name all his buildings and characters after the attendees of BLAM. 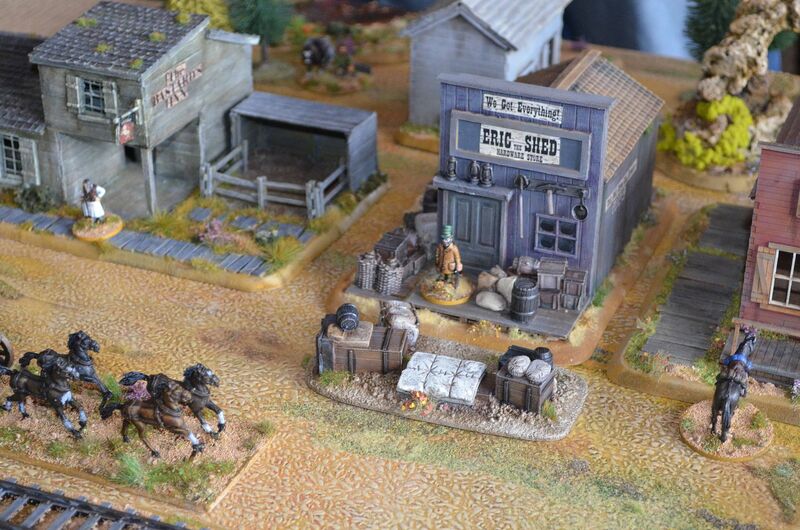 There wasn't a picture of the final shed in the article so here is one from BLAM Last year. So a big thank you to Paul for his kind words and raising the blogs profile in this great journal. 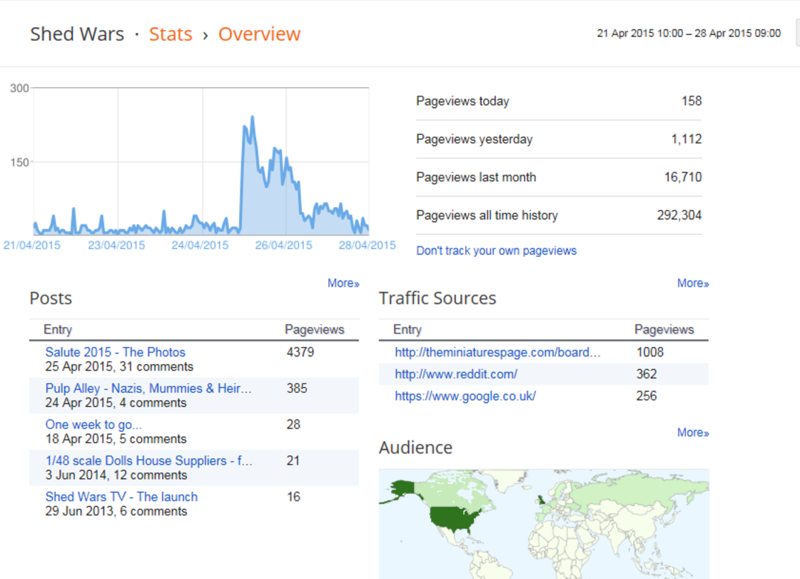 Whilst I am on the subject of Salute I thought I might share the impact of my posting of photos up on the blog. Having left Salute around 3.30pm I hopped home (about an hours journey) and spent the next two hours downloading, cropping and sifting through the 140+ photos I had taken of the event. By 6.30pm I posted with threads opened up on various forums. Over the next three days I have seen my page hit counter go skywards. In all over 4000 page hits on that post alone. Working on the basis that each of these hits represents just one person that's an awful lot of wargamers visiting my blog. Thank you to those who have passed on their comments here and on the threads elsewhere. The picture below shows progress up to 28th April - as of the time of posting this number stands at 4684. I mentioned in the posting that the number of tattoos on display by attendees had significantly grown. Can I please state that this is in no way meant to be a criticism but rather an observation. I have no opinion on this matter and if I have caused offence with this comment I apologise. Just got back from the excel centre and the Warlords excelled themselves this year..a bigger hall and no queues (at least not at 11am) - a fabulous day out and I only spent half the cash I took. 2. The excel gets busier every year - not only do we have to contend with the Marathon runners but this year there was a pharmaceutical congress going on and a Sherlocked convention ! 3. The number of tattoos on display grow every year - why? But I did take the best part of 120 photos - I think of every game there. If I missed yours apology. Its just taken me two hours to upload these to the blog !! 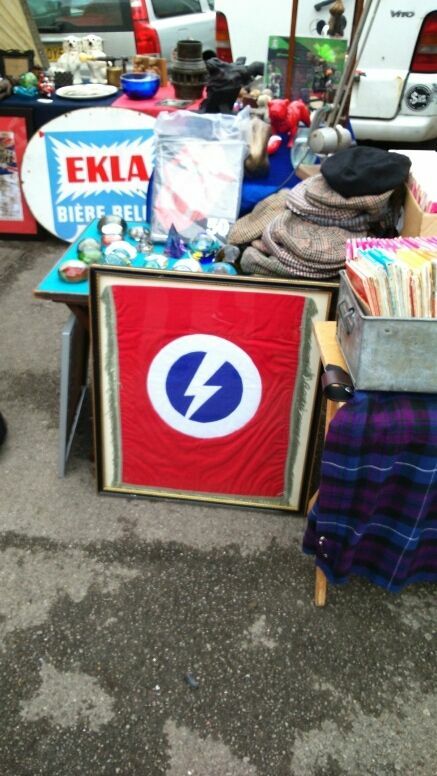 So grab yourselves a coffee/beer whatever and have a look at all this wonderful eye candy..